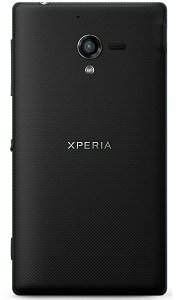 The Xperia XL is a razor sharp five-inch full HD Reality Display in a compact design. What if you could make the display bigger without increasing the size of your phone? 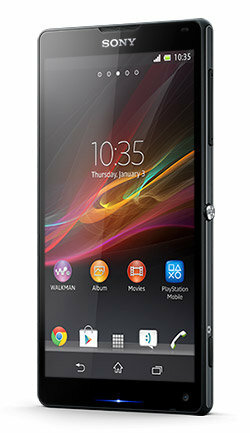 Xperia ZL manages the design impossible: a 5” display in a smartphone that fits comfortably in your hand. Optimizing component architecture, Sony engineers increased display size while keeping the phone small. The result is the smartphone with a very high screen to phone size ratio. Expertise from our BRAVIA TV engineers goes right into our mobile screens. Feel like you’re part of the action with the 1920 x 1080 full HD Reality Display. Mobile BRAVIA Engine 2 automatically optimizes images so they’re sharper and brighter. It also offers you superb contrast and color management. 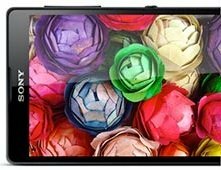 With a very high pixel density and superior brightness, view super sharp images and text with great readability even in sunlight. The OptiContrast panel brings you clearer images when the screen is active, and a seamless black look when in standby. Our smartphone cameras are built with Sony’s digital imaging expertise and leading camera technology to bring you ultra-sharp photos and videos, wherever and whenever. Xperia ZL’s primary camera features Exmor RS for Mobile, the world's first image sensor with HDR video for smartphones**, so you can shoot beautiful stills and movies even against strong light. The front-facing camera uses the Exmor R for Mobile image sensor, making it the first dual Exmor R device. Not a pro with settings? Superior Auto mode automatically activates HDR and noise reduction. ** Verified by Strategy Analytics. 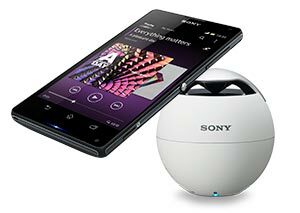 For more information, visit the Sony website. Discover the easy and fast way to wirelessly share music and photos from your smartphone with one-touch sharing and one-touch listening. One-touch mirroring with NFC technology lets you easily see content on your phone, on your BRAVIA TV. Just touch your phone to your BRAVIA remote control and watch your photos, music and more pop up on the TV screen. No cables, no buttons, no confusion. *One-touch mirroring is designed to work together with an NFC-enabled BRAVIA TV. With Battery STAMINA Mode you have intelligent battery management to significantly improve your standby time. Your phone knows when your screen is off and shuts down the battery-draining apps you don’t need, and then starts them up again when the screen is back on. Sony Entertainment Network instantly delivers music, movies, games and more. It's your all-access pass to your favorite entertainment. With a common sign-on ID and digital wallet, enjoy all this and more. It’s the perfect fit for a life full of entertainment. In the mood for a brain teaser? Or are your fingers itching to do battle? With your PlayStation Certified smartphone, you’ll have direct access to PlayStation Store for PlayStation Mobile*, where you can browse a catalogue of great games developed for PlayStation Mobile. Download something today and say goodbye to boredom. *PlayStation Mobile is currently available in the US, Canada, Japan, UK, France, Italy, Germany, Spain and Australia only. This phone is compatible with cellular networks that support GSM/GPRS/EDGE 850/900/1800/1900 and UMTS/HSPA 850/1900/2100. In areas not served by a 3G data network, you'll continue to receive 2G data service (depending on network compatibility). 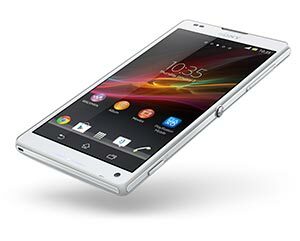 Tell us what you think about Sony Xperia ZL LTE C6506 Unlocked Android Phone, share your opinion with other people. Please make sure that your review focus on Sony Xperia ZL LTE C6506 Unlocked Android Phone. All the reviews are moderated and will be reviewed within two business days. Inappropriate reviews will not be posted.